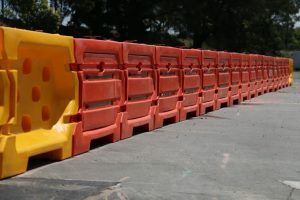 At Barrier Systems we offer a complete range of plastic water fillable barriers, Ironman barriers, temporary fencing, variable message signs (VMS) & portable traffic lights (PTL). All of these products are available to hire short or long term. We also offer a full installation service and 24 hour emergency call out. Barrier Systems also offer pedestrian delineators and crash barriers to purchase. Our Events Team have been supplying barriers and variable message signs for several years to many Australian events including the Caxton Seafood Festival, Suncorp Stadium, Sydney Olympics and many more. Click here to view our event case studies. Are you ready for the new Rules regarding road side furniture and safety barriers?